Selena Gomez was apparently "horrified" after looking at photos of herself after a recent event. The 22-year-old was snapped looking worse for wear last month, following the Vanity Fair Oscar's party. Pictures showed her sitting on the pavement with a distressed expression on her face. It's thought those close to her were worried about her dealing with the stress of the spotlight and now Selena is said to have taken their concerns on board. "Selena was horrified when she saw those photos and realised she had worried everyone with her behaviour at the party, but it as the wake-up call she needed," a source explained to British magazine Closer. "She wants to show people she can bounce back and has been keeping a happiness journal to note down everything she's grateful for." It's thought her diet also played a big part in her mood swings, as she apparently feasted on sugar throughout the day and only tucked into proper food in the evenings. Selena's reportedly seeing a nutritionist now to ensure she gets back on track. 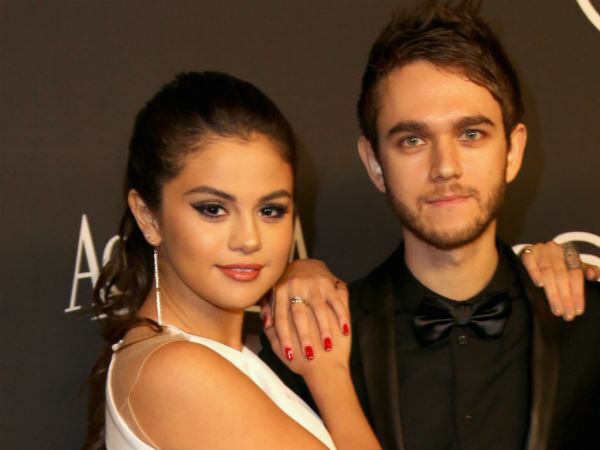 Her rumoured new boyfriend, DJ Zedd, is also said to be a great help during this time. The pair have recorded several tracks together and their blossoming romance comes after Selena's on/off relationship with Justin Bieber, which ended for good last year and was often plagued by rumours, such as Justin's alleged fling with model Miranda Kerr. "Selena's vowed never to date Justin again, she's deleted his number. Zedd tells Selena she looks beautiful all the time, which has given her the confidence boost she needed after Justin," the source added.